Get your veggies in the morning with these sweet and delicious "zoats", an easy protein-packed breakfast recipe. 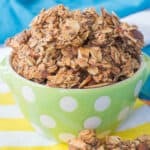 You’ll be shocked at this sweet and delicious way to have some whole grains, protein, and veggies first thing in the morning while satisfying your chocolate cravings. 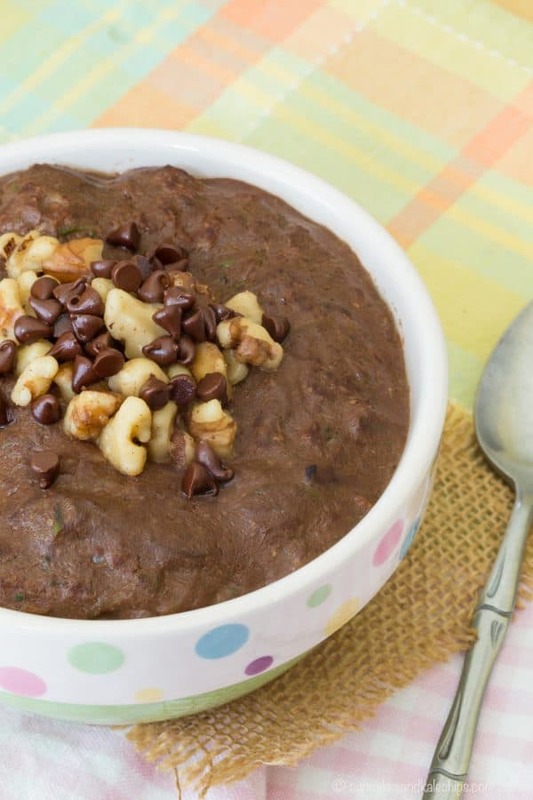 Indulge in a nutritious breakfast with this Brownie Batter Chocolate Zucchini Oatmeal. I made my kids French toast sticks for a little Sunday brunch a couple weeks ago. My little guy cried. Yes, he cried because apparently French toast is “so yucky, Mommy!” You guys, I sang praises to the heavens when my mom made French toast. Although French toast was a special treat, sweet carbs were the breakfast of choice in our house – muffins, pastries, cereal, and even my toast was swirled or sprinkled with cinnamon-sugar. If I were having a savory breakfast, it was typically a plain bagel with cream cheese – I am a Jersey girl, remember. So with my boys’ weeklong visit to my mom’s approaching, I had to text her to remind her that although she still thinks that everyone, especially kids, would love a daily morning diet of pancakes and waffles and donuts, this kind of treatment reduces my little one to tears. While my mom is still quite happy with the breakfasts she raised me on, I eventually moved on to a daily oatmeal habit, which I continue to this day. However, I realized I needed more protein in the morning. Now most people would suggest a veggie omelet to get a good dose of protein and produce to start your day, but my brain and stomach and just aren’t ready to embrace that. Not to mention that I’m trying to get the kids up and fed and ready. Chopping and sauteeing a bunch of vegetables, shredding cheese, and tending to an omelet just don’t fit into the schedule. So I started stirring egg whites into my oatmeal. Sounds strange, but trust me on this one because when you add in all kinds of amazing flavors you’d never even realize. 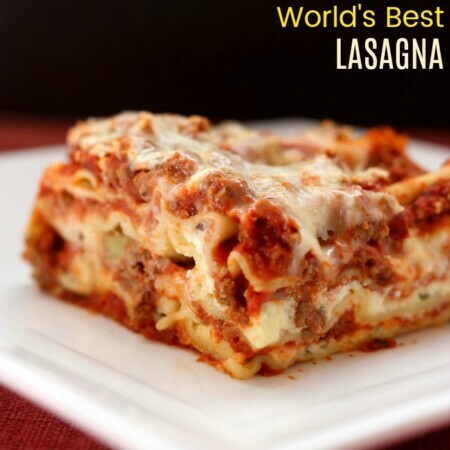 It just becomes thick and creamy in a matter of seconds. 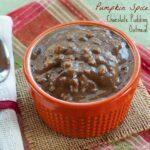 I started with Mexican Chocolate Oatmeal back when I was pregnant and first felt like the plain bowl of oats just wasn’t cutting it, and have kept up the habit, especially now that I try to get in my workout early in the morning. I can put everything in the pot the night before, just add the milk and water in the morning (heck, sometimes I even just let it soak in the fridge overnight which speeds up the cooking time even more), heat it up, and do a quick chore like put away some dishes or put the lunchboxes in the backpacks while it cooks. And then you just have to stir in that dose of protein when it’s done. Yes, you guys, zucchini oatmeal. 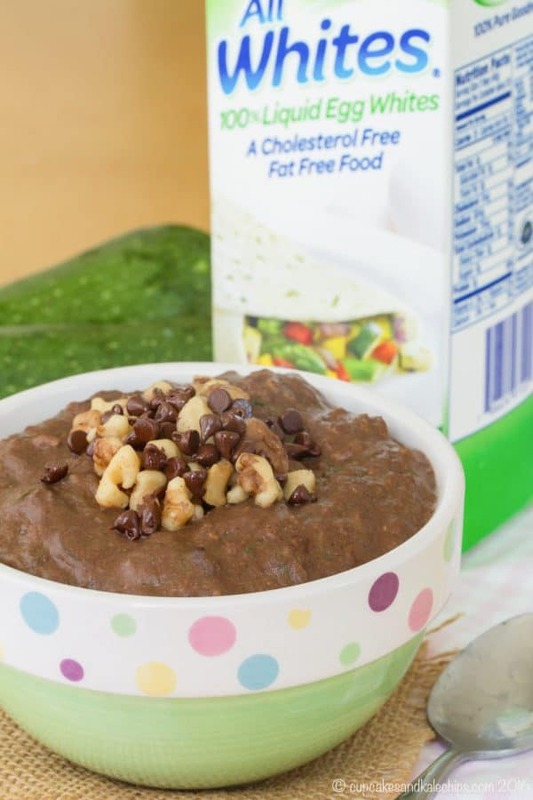 It’s a thing, and a thing that I was totally skeptical about until I tried it, but it is seriously a great way to add veggies to your breakfast, especially when you make it taste like brownie batter. 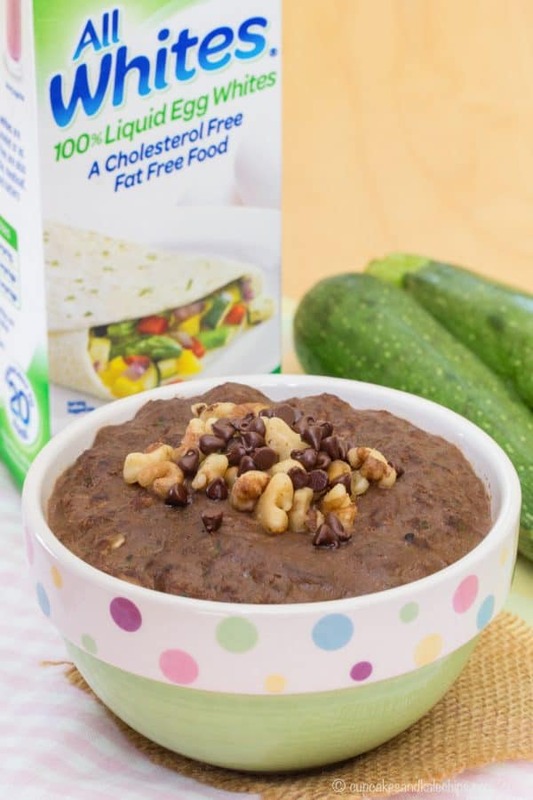 And now I am hooked on Brownie Batter Chocolate Zucchini Oatmeal, which doesn’t really take any longer than making a basic bowl of plain oatmeal, but gives you a ton more good stuff. 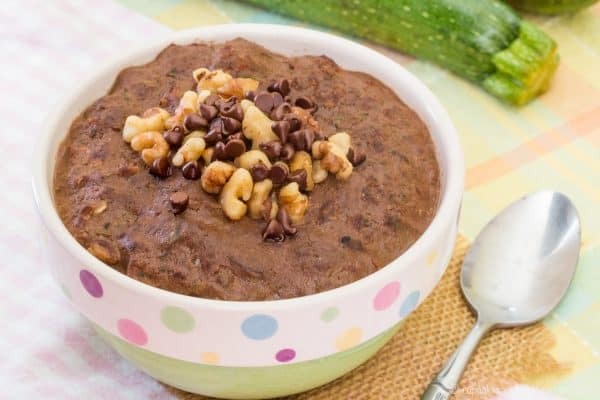 The zucchini cooks down and pretty much blends in with the texture of the oatmeal, and I mean really, do people actually put zucchini in brownies and muffins and cakes because they think, “Wow, I really love eating vegetables in my chocolaty sweets!”? 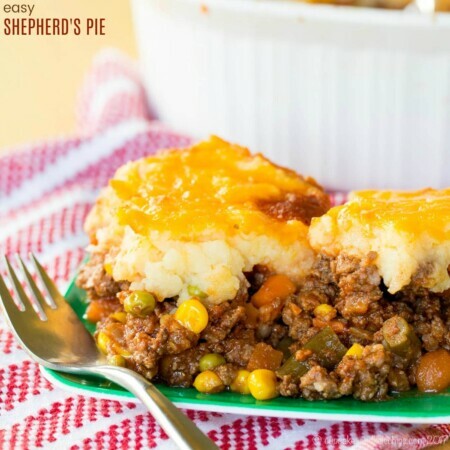 No, they do it because it adds bulk and nutrition without a lot of calories, and it’s never a bad thing to squeeze in some extra vegetable goodness sometimes. Sweeten it up, top it with some chopped walnuts and mini chocolate chips, like any good brownie should have, and you have a heaping bowl of breakfast brownies in just minutes! As I mentioned, if you really want to save time, mix everything together the night before and store it in the fridge. Then in the morning you just have to heat it up and it’ll cook even faster. In addition to all the veggies, these oats are packed with protein thanks to AllWhites 100% liquid egg whites. I mentioned I started putting egg white in my oatmeal when I was pregnant. Since I only cook them for another minute or two after adding the egg whites, I felt much safer using these because even though they are 100% egg whites, they are pasteurized for safety. Plus while you are adding plenty of protein and plenty of volume to your breakfast you aren’t adding any fat or cholesterol, and less than half the calories of whole eggs. 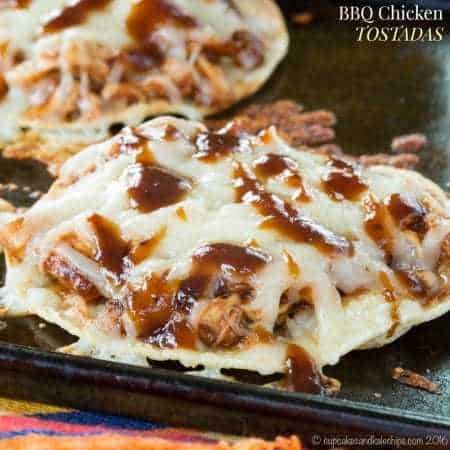 For more great recipe ideas, check out AllWhites on Facebook, Twitter, Instagram, and Pinterest. Now if you dig your morning omelet, AllWhites is giving you the chance to win a Calphalon Nonstick Omelet Pan! You have till Monday September 12, 2016, 11:59pm to enter. Winner will be notified my email and will have 48 hours to claim their prize. Good luck! 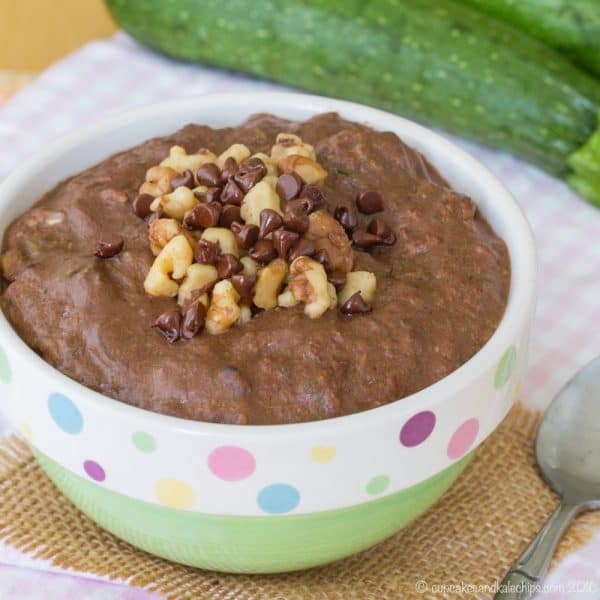 So hop on the zoats bandwagon with this easy and tasty bowl of Brownie Batter Chocolate Zucchini Oatmeal for a quick and easy way to fuel your body till lunchtime! Combine the oats, zucchini, sugar or sweetener, salt, cocoa powder, vanilla, milk, and water in a small saucepan. Cover and bring to a boil over medium heat. Uncover and reduce heat to low. Simmer for 5-10 minutes, or until the oatmeal is cooked to desired doneness, but a little excess moisture remains (you can add more water if the liquid evaporated before the oats were as soft as you like). Slowly pour in liquid egg whites while stirring constantly. Stirring constantly, cook for another 1-3 minutes, or until mixture slightly thickens. Pour into a bowl and top with the walnuts and chocolate chips, if desired. 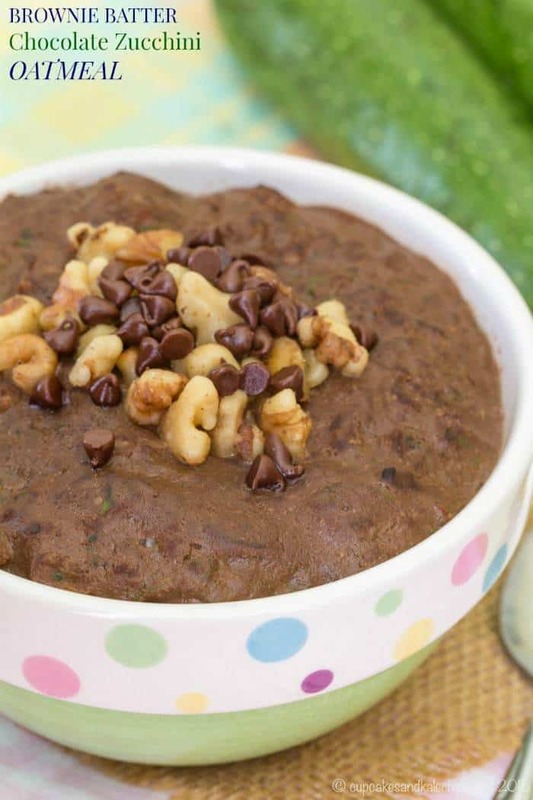 Enjoy this Brownie Batter Chocolate Zucchini Oatmeal recipe! Sounds delicious. Do you think this recipe would work with steel cut oats? I think you could used the same idea, but follow the cooking directions for the steel cut oats. I know they take longer to cook than regular oats. 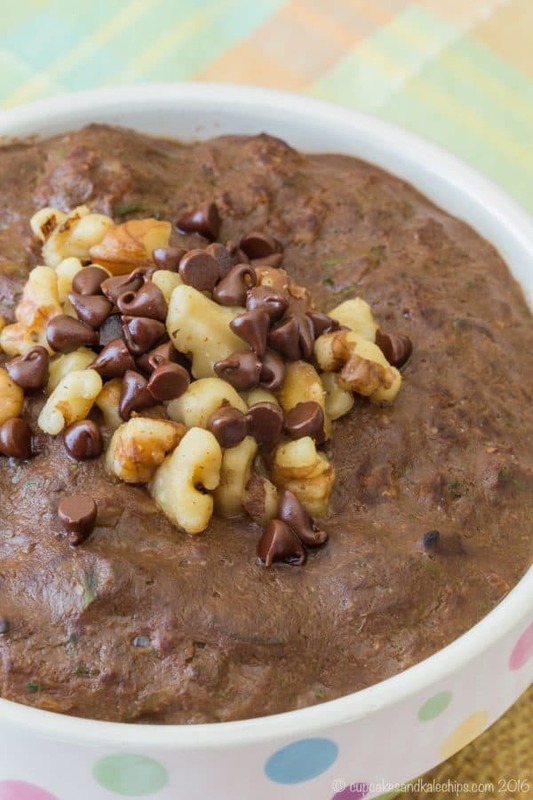 Can the BREAKFAST BROWNIE BATTER CHOCOLATE ZUCCHINI OATMEAL be made without the egg whites? I’m allergic to eggs. Amy, you can definitely leave out the egg whites. I add them for extra protein and to give the oatmeal more of a brownie-like consistency. Wow , this looks good. I really love your blog! 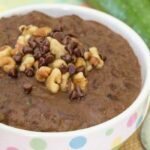 My favorite omelet fillings are bacon, mushrooms, and gruyere cheese, but right now, I totally need some chocoalte zoats!! My favorite fillings are mushrooms, spinach, turkey & white cheddar. I love an egg white omelette with mushrooms, cheddar cheese, and lots of spices!!! Have to try this. My favorite omelet is simple – banana, cinnamon and walnuts. Add a little flour to turn it into a pancake. My favorite is ham and cheese, but bacon and sausage are all great substitues. 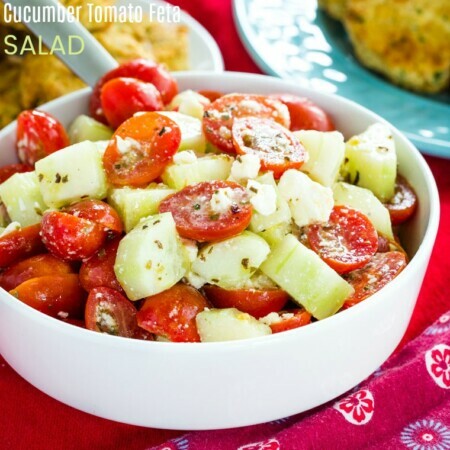 This recipe is dynamite! 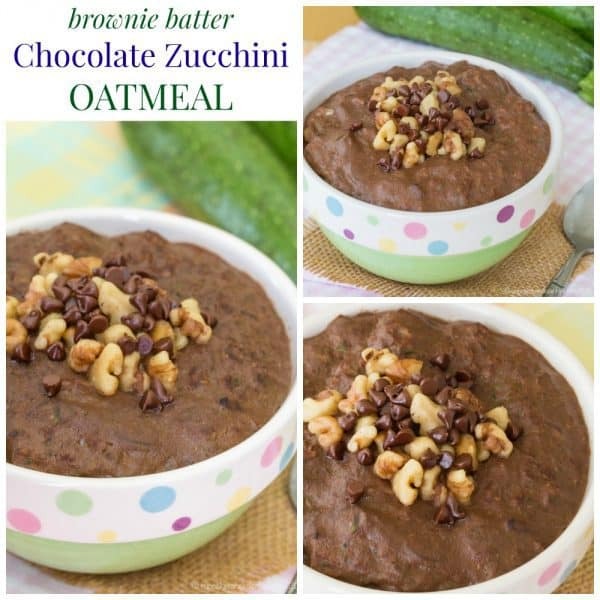 I love chocolate and I love zucchini…and did I even mention my love for oatmeal?! YUMMO! Loving the added egg whites! What a great way to start the day. I love cheese, ham and red, orange, and yellow peppers…super delicious!! I love tomato spinach and feta in my omelette! This is such a great idea! Looks super yummy!! This is my first time hearing of zoats! Interesting and a great way to get in some veg at breakfast, it looks great! PS…love those calphalon pans! My favorite oatmeal fixins are nuts, banana, berries and cinnamon. My favorite omelet fill’ins are peppers, onions, tomatoes and cheese. I love filling my omelette with bell peppers, diced ham, spinach and use paprika, granulated garlic, salt and pepper for seasonings. YUM! Favorite fillings are cheese, mushrooms, onions, and peppers. My favorite omelette fillings are broccoli, tomato, mushrooms, bacon, and cheese! My favorite fillings are cheese, bacon and onions.